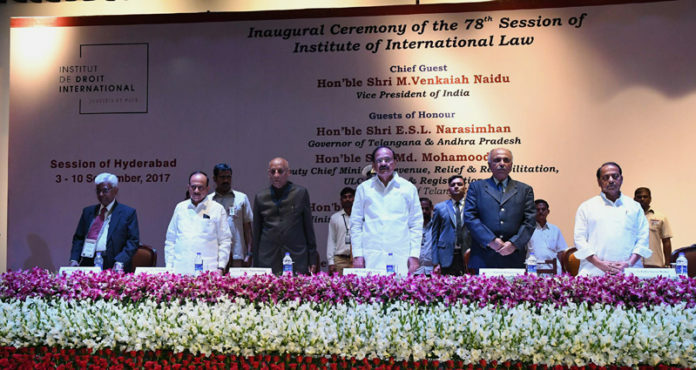 The Vice President, Shri M. Venkaiah Naidu at an event to inaugurate the 78th Session of Institute of International Law, at NALSAR University of Law, in Hyderabad on September 03, 2017. 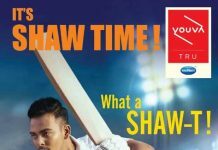 The Governor of Telangana, Shri E.S.L. Narasimhan, the Acting Chief Justice of High Court of Judicature at Hyderabad, Justice Ramesh Ranganathan, the Deputy Chief Minister of Telangana, Shri Mohammad Mahmood Ali and other dignitaries are also seen. New Delhi: The Vice President of India, Shri M. Venkaiah Naidu has said that Civil Servants should be Empathetic, Efficient, Impartial and Incorruptible and these are the guiding principles that form the bedrock of the higher civil services. 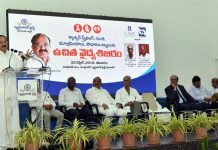 He was addressing the gathering after inaugurating the 92nd Foundation Course for AIS & CCS Officers at Dr. Marri Chenna Reddy Human Resource Development Institute of Telangana (MCRHRDIT), in Hyderabad today. The Deputy Chief Minister of Telangana, Shri Mohammad Mahmood Ali, the Director General, MCRHRDIT, Shri B.P. Acharya and other dignitaries were present on the occasion. The Vice President said that the credit for establishing India’s all India civil services goes to the first Home Minister of India and the iron man Sardar Patel. He further said that the civil servants are binding force and can bridge many divides India faces. We need to use every opportunity to improve quality of life of every Indian, especially those under-served, he added. The Vice President said that civil servants must be impartial with a broad vision for National integration and inclusive development. Serving all without bias by adopting ‘Antyodaya’ approach as espoused by Gandhiji, Dr. Ambedkar and Deen Dayal Upadhyay must be the motto, he added.